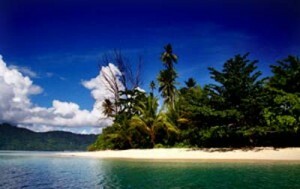 Teluk Wondama or Wondama Bay Regency is one of regencies in West Papua provinse. 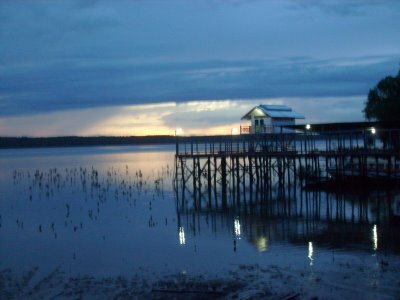 The capital city is located in Rasiei and it was formed since 12 April 2003 as an expansion of Manokwari regency. This regency is bounded with Tahota distric, Manokwari regency and Cendrawasih bay in north; Yaur distric, Nabire regency and some parts in Kaimana regency in south; Kuri district, Idoor district and Bintuni Bay regency in west; and Umar bay district, Nabire regency and Cendrawasih bay in East. This regency is having very rich potential sources, in case of marine and biota diversity. The most interesting destination in Wondama bay is located in Cendrawasih Bay National Ocean Park. In that national park, there is Rumberpon island, Nusrowi island, Nukusa island, Mioswaar island, Roon island, Yoop island and Winderi water and Aitumeri hill. All those tourism objects are about natural sightseeing that ready to be explore more.